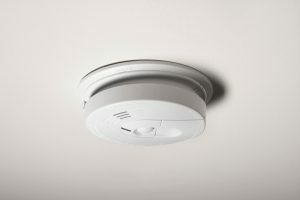 Proper smoke detectors are your first line of defense in the case of a fire. However, in order to be effective, they must be working properly. As a general rule of fire safety, it’s best to replace your alarms’ batteries at least once a year. Otherwise, you can try a detector with a 10-year battery and not worry about them as much. Detectors should also be on every level of your property. In homes or apartments, it’s best to install them outside of sleeping areas and in every bedroom. Additionally, in homes, it might benefit you to store a handy fire extinguisher near your kitchen and on every floor. For businesses, there are certain OSHA fire safety guidelines that take into account detectors and extinguishers. Either way, make sure that everyone knows how to use an extinguisher just in case. 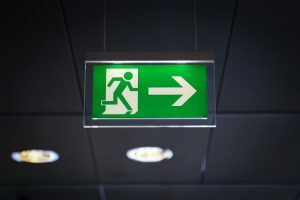 For any home or business, it’s essential that you formulate a fire safety escape plan. This strategy should include viable escape routes for every room or corridor. After all, it’s much easier to do something if you have already visualized and practiced it beforehand. Try to come up with two escape routes from every location should one be overcome by smoke or fire already. Make sure that you also inspect every window to ensure that it can be opened and the screen (if applicable) can be easily removed. If you have rooms on higher floors, consider purchasing a fire ladder. 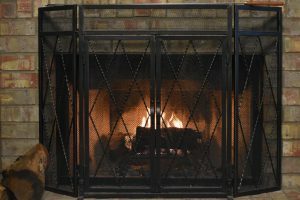 If your home has a fireplace or wood stove, consider adding a protective screen around it. Also, anytime that you use a candle or live flame, monitor them closely. You should also keep potentially flammable materials as far away for them as you can. For homes and businesses who use a lot of electronics and appliances, avoid plugging too many cords into the same electrical socket. Otherwise, it might overwhelm the outlet and cause a tricky electrical fire, which can be hard to put out. Fire safety is an absolute necessity for every home and business. After all, you can never be too careful.